My visit to Somalia happened at a time, when the country was entering one of its most challenging but also most promising periods. 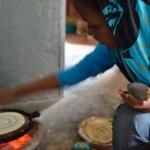 During the six days I spent there, I learned what was at stake for the people of Somalia. Aunt Sacdiya is the youngest out of my late father’s ten siblings. Her physical resemblance to my father was striking. Her fresh-faced son Mohamed was dressed in a Real Madrid t-shirt and jeans, and I undeniably felt a strong bond with both of them. One day after the first visit, Mohamed came back to accompany me to our late grandfather’s property in uptown Mogadishu. Sacdiya and her five children moved to district Waberi roughly one year ago after having spent five years in Addis Ababa, Ethiopia. The family ventured back to Somalia upon hearing about the restored order and peace in Mogadishu, after AMISOM and government troops successfully had driven al-Shabaab out of their strongholds in the capital. 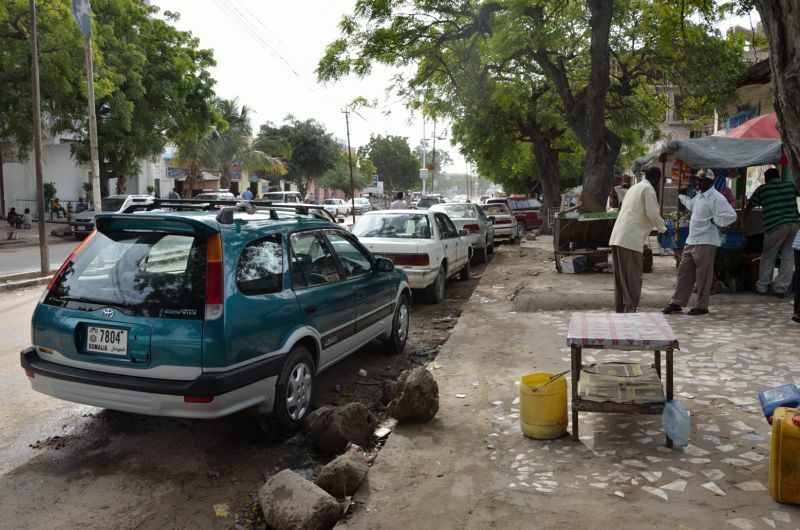 Waberi’s roads were paved and packed with new cars. Here, you would find banks, computer schools and restaurants with out-door-serving. 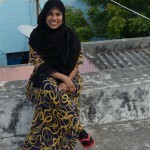 The cost of rent in this part of town had skyrocketed in the past year, which allowed Sacdiya to earn money on renting out one of the rooms in the property to a private company. One of my childhood memories is of visiting my grandfather at his house, where we would sit up on the rooftop as the dark set in. I hoped to recognize something, but nothing looked familiar. 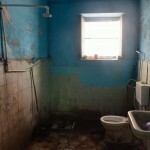 Nevertheless, I could not help, but feel a great sense of belonging to the place. I discovered, that my other aunt, Hawa, lived nearby – the eldest of the bunch. I visited her multicolored, tidy and posh house, where both her children and grandchildren lived. All of my aunts’ children went to private schools, so I could tell that they were better off than my relatives in Shibis, who begged me to take their eldest daughter with me to Europe, so she could get an education. 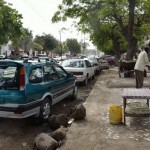 My uncle Osman stated that now was not the time to be in Mogadishu. He would like nothing more than to show me the whole of the city, but he was afraid of robbers, policemen and soldiers. Now, my aunts and their children confirmed the state of lawlessness in Mogadishu. They told me about random arrests and persecution of young men, whose only crime was to be in the wrong place at the wrong time. Still my cousins and I were able to walk down Makkah al Mukaramah (the main road to the airport) after dark sipping on guava juice. Both Mohamed and his brother had been arrested by the local police, and released only after the family had paid a large sum of money. Without the payment, their lives would have been at risk. 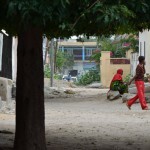 Six months ago, Mohamed’s 14-year-old brother was allegedly kidnapped by al-Shabaab. The family has not heard or seen anything from him in six months. They believe that he is now a child soldier. The police arrests those, who they suspect are affiliated with al-Shabaab and therefore terrorists. While al-Shabaab target those, who they suspect are pro-government, and by their logic non-Muslims. The Somali people are caught in the middle of this conflict. If you work for the government as a policeman or a soldier, al-Shabaab persecutes you. If you sympathize with al-Shabaab, the government persecutes you. 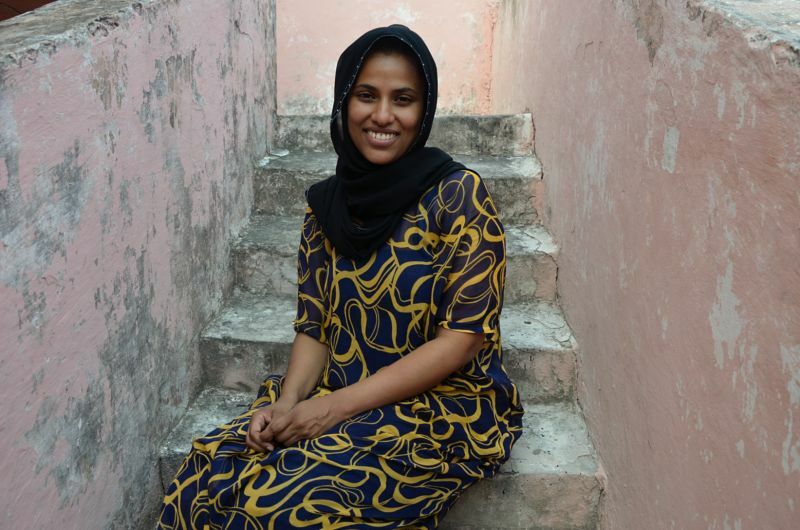 The only “neutral” public workplace is Mogadishu airport, Mohamed’s sister reasoned. Because of the insecure prospects, Mohamed and his family decided that he should try his luck at finding a job in Nairobi, Kenya. In East Leigh, a predominantly Somali neighborhood, Mohamed would be able to earn a living meanwhile practicing his English. At least this is what he envisioned. The next day, two days before my departure, Mohamed and a friend of the family accompanied me to the beach at the old seaport. Since my arrival, I had only smelled and viewed the sea from afar. 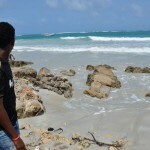 It was a revelation to see the white sand beach that I remember from my childhood. 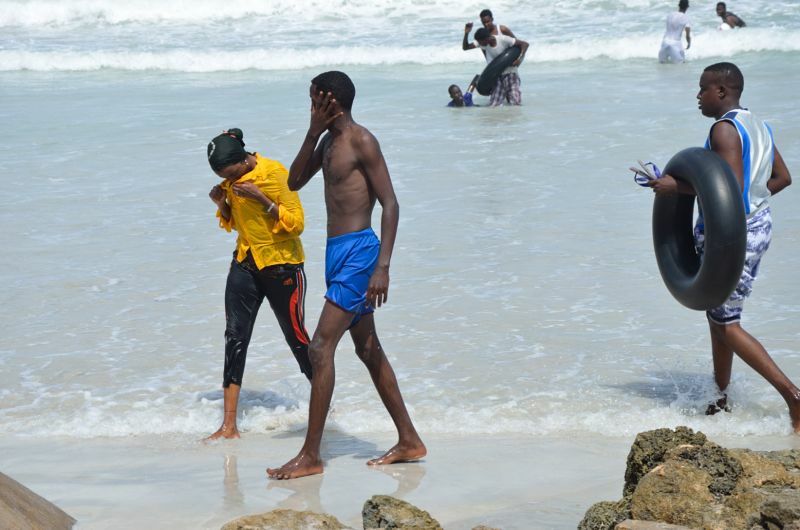 Mohamed quickly stripped down to his underwear and jumped into the wave foam. I was not wearing the proper attire for women, so I merely dipped my feet and legs in the warm shallow waters. As a Somali woman, you are always under scrutiny. If your feet or your arms are showing, or even the slightest hair creeps out of your hijab, you will be told to cover up – even by strangers on the street. 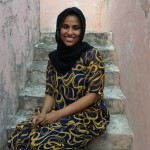 But then again, Osman’s wife, Nadia, was ordered to remove her niqab by a policeman on the street. Before I parted with Mohamed I promised to meet with him in Nairobi. He was to leave for Kenya the following day, and I was to spend a few days there, before I left for Denmark. 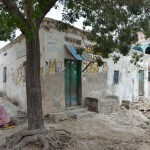 Dette indlæg blev udgivet i About Somalia, Present og tagget Al Shabaab, Beach, Family visit, Mogadishu, Somalia, TFG government, Waberi den 7. september 2012 af Nasrin Billie. One common image of Somalia is poverty. Add to that disease and famine. 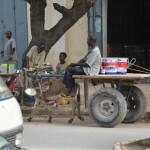 The somali people are often portrayed as in need of humanitarian relief. Images of malnourished children with big bellies accompanied by relief shows begs donations to aid agencies. But does anyone benefit from the aid? On 27 August 2011, the Danish viewers of a national relief show named “Afrika Nu!” donated 110 million Danish kroner to people affected by famine in the Horn of Africa. The money was given to 16 Danish humanitarian organizations (NGO’s) that operate in the region. 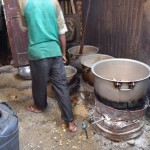 Before that, reports told of aid relief piling up in warehouses in Mogadishu, while people were dying of hunger. Other reports showed how sacks of grain meant for starving Somalis were being stolen and sold in markets. Meanwhile, Valerie Amos, UN Emergency Relief Coordinator, states that humanitarian relief efforts have saved thousands of lives since famine was declared in July. In Somalia, 4 million people are still in crisis and 250.000 face famine at this moment. Humanitarian organizations working in Somalia remain strictly neutral, with their only task being to save lives, according to the UN. Amos urges all parties to the conflict in Somalia to respect international humanitarian law. In addition, environmental scientists suspect that the severe drought in the Horn of Africa is a direct consequence of climate change and the rising global temperatures. Droughts have so far occurred every 5 – 7 years in the region, but almost never with the extreme conditions of today. Some argue that aid alleviates suffering, while others point out that aid is not effective in the long run. The basic criticism is that aid neither goes where it was intended nor helps those intended. Conflict trap, where aid end up being used to finance military endeavors. Natural resource trap, where aid is given to resource-rich countries that already have capital flowing into their economies. However, it is not being used to its potential. Landlock trap is when it is difficult for landlocked countries to engage in global trade. Collier’s conclusion is, that aid needs to somehow provide incentives for giving the people power. Power needs to be transferred from the governments to the people. Therefore, aid should be restructured in order to allow for skills building in the countries. Dette indlæg blev udgivet i About Somalia, Present og tagget aid, Al Shabaab, humanitarian relief, NGO's, UN den 1. december 2011 af Nasrin Billie. The difficulties and dangers in reporting from areas controlled by militias such as Al-Shabaab and where there is no government or embassy to turn to in a case of emergency is maybe best illustrated by the case of the TV and Radio station HornAfrik. HornAfrik was founded by three Canadian Somali refugees; Ahmed Adan, Mohamed Amin and Ali Sharmarke in 1999. Their story is documented by the UN in their 21st century television series. HornAfrik provided ordinary people the opportunity to phone in and voice their opinion and explore ways to solve conflict. As the warlords realised the popularity of HornAfrik, they tried to take over the radio and TV station by force. Ahmed Adan says that the station stood steadfast upon its principles: “Do not try to silence us, we will give you airtime, but the people will have to challenge you as well [by phoning in]. We are not a propaganda machine for any particular group or person”. Subsequently, HornAfrik has experienced a number of attacks, censorship and has even been shut down. The dangers culminated in August 2007, when one founder, Ali Sharmarke, was murded along with presenter Mahad Ahmed Elmi. Is any story worth dying for? 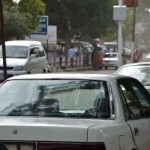 Many Somali journalists prefer to work undercover. At the very least, pseudonyms are used and more often than not, radio pieces are voiced over in studio to protect identities. The increasingly common practice of hiring local armed security guards to accompany reporters on assignments presents a risk of becoming a target. When traveling with military or with one side in a conflict, there is a risk of being mistaken for a soldier or considered associated with military. Further more, when traveling with the military, you have to do what the military tells you to do. HornAfrik is still operating to this day, but throughout the years the conflict has resulted in many media houses being closed down, and their journalists fleeing the country. Adan himself believes that his partner died for a worthy cause. He argues that Ali Sharwake was not “just a journalist, but a peacemaker”. Dette indlæg blev udgivet i Local reporters, Risks og tagget Al Shabaab, HornAfrik, Radio, Risks, Somali journalists, TV den 11. november 2011 af Nasrin Billie.